For casual wine drinkers, it's enough to wade through the aisles of whites, reds and price tags without adding the complexity of supposed wine rules and taboos. 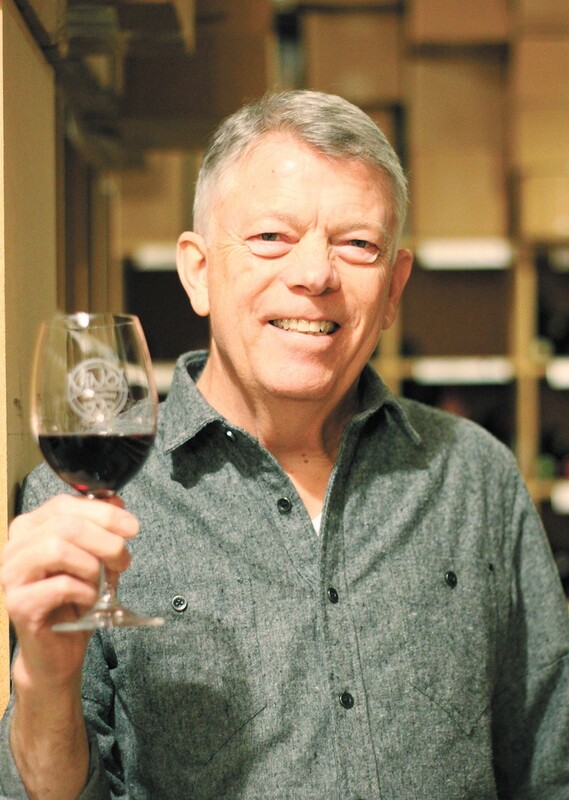 The Inlander hit up John Allen, co-owner of Vino! wine shop in downtown Spokane, to explain and dispel some of the common myths about wine so you can avoid the pitfalls and spend more time enjoying your next sip. This is a common misconception, Allen says. The vast majority of wine is really meant to be enjoyed within the first few years of being bottled, which is good news for the average consumer. "Most people age their wine on the way home," Allen says. Other than a very small percentage of fine wines, which might last 20 years (or, rarely, even longer), Allen says most reds are meant to be enjoyed within six to seven years of their vintage — the year on the bottle — and for whites it's four or five years. Wines do change over time, though. At first, they usually express fruity flavors — think peaches, apples, plums, cherries, he says. After a few years in the bottle, other flavors can come out, like dried fruits, spices, even coffee. "They take on nuances and different flavors that are only the result of age," Allen says. "So aging a wine can be good, but only up to a certain degree for the bulk of wine that's made and purchased." Most wine is more refreshing if it's below room temperature, Allen says. For reds, that's at about 60-65 degrees, and for whites, it's cooler. But while most people chill their whites in a refrigerator, which sits around 40 degrees, that's too cold to allow the aromatics to release and bring out the full flavor of the wine. So Allen suggests taking your whites out of the fridge and leaving them on the counter or table without a sleeve for a half hour before serving. When more care is put into winemaking, of course there's going to be extra cost, Allen says. If grape selection is more stringent, there's specialty equipment like barrels for aging, and marketing costs add up, the winemaker is going to charge more to recoup their costs. "There are reasons really good wines cost more money — it's not a bad association," he says. "But it doesn't mean you're going to like the wine just because it's more expensive." Along those lines, there are major advantages to living in Washington. "West Coast USA is swimming in good quality wine because we can grow fruit in ways that are more difficult in almost every other part of the country," Allen says. "In Washington, we're making wines that score among critics equivalent to some of the finest and most expensive wines in the world for less than half the price those other ones are being sold for." One of the priciest wines in Washington that runs about $175 a bottle, Allen says, is made from the same grapes that in Bordeaux, France, go into a $1,500 bottle. Wrong! Believe it or not, screw caps actually keep wine better than cork. Decades ago, a lot of bottom-shelf bulk wine was sealed with screw caps. But as wine making really took off in regions like the Pacific Northwest, New Zealand and South America, good cork became harder to find, Allen says, and low-quality corks started ruining significant portions of batches. To fix that problem, a variety of resin-cork composites, plastics and other closures started coming on the market. To test which was the best for preserving the original characteristics of the wine, Hogue Cellars, based in Prosser, Washington, did multiple years-long studies of different closures, bottling batches of the same wines with different options and taking samples at regular intervals. "Screw caps were deemed to be the best," Allen says. If you have a food you like and a wine you like, Allen says, who's to argue? But there is something to be said for fairly fail-safe pairings. Typically white wines, often more citrusy in their acidity, pair great with fish, Allen says. However, a fatty fish can pair well with red wine, Allen says. Tannins, the compounds in red wine that add some texture and can make your mouth pucker when you taste it, are attracted to protein. Without food, that means they go straight for your tongue and mouth, Allen says, but with meat, cheese or a fatty fish, they can sort of get disttracted and let you enjoy some of the other aromas and flavors of the wine. The original print version of this article was headlined "Wine Myths Debunked"